Logitech has unveiled the rest of its G-series peripherals for gamers, including the G9x mouse, the G19 gaming keyboard and the Dolby accredited G35 headset. Logitech has already shown off the G13 gameboard – a mini-keyboard device designed for the gamers left hand, and the Swiss company has now officially unwrapped the rest of its latest G-series range. The Logitech G9X mouse is a fairly minor upgrade on the popular G9 gaming mouse – bringing improved 5000dpi and keeping the same switchable grips and buttons. The Logitech G19 keyboard is the successor to the G15, replacing the monochrome mini-screen that gamers can use to display in-game information with a full colour version (that you can even play YouTube videos on should you want to). Last up is the Dolby G35 gaming headset – which brings 7.1 surround sound and Dolby Pro Logic II as well as programmable hot buttons on one of the cans, USB connection and the fairly predictable noise-cancelling microphone. TechRadar has been lucky enough to try out the entire new Logitech G-series – so check back for full hands on reviews of the products. 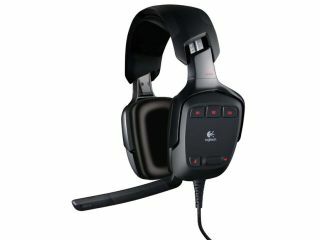 Logitech has provided us with the UK pricing and availability. "The Logitech G19 keyboard for gaming is expected to be available in the UK in March for a suggested retail price of £149.99 inc VAT. The Logitech G35 surround sound headset is expected to be available Europe in March for a suggested retail price of £109.99 inc VAT. The Logitech G9x laser mouse is expected to be available in Europe in February for a suggested retail price of £74.99 inc VAT."